You may not be surprised that we are bullish on microgrids, but we are unaware of an argument against significant microgrid growth in the coming years. By definition, microgrids are small and versatile, allowing them to quickly take advantage of changing technology and market forces. Even some electric utilities are on board. 2016 will see microgrids deployed everywhere from Rwanda to Manhattan, for reasons that stem from cyber terrorism to global warming. The biggest drivers of microgrid growth in 2016 are compelling on their own, when combined it’s clear why Navigant Research is predicting 20-fold growth in the microgrid market in the coming years. Solar PV and wind turbines have become some of the least expensive options for energy generation, accounting for about 70% of new generation this year. Many power companies and utilities have a financial interest in utilizing their existing infrastructure, but microgrids provide an opportunity for communities and businesses to take matters into their own hands. Although the cost of energy storage, solar PV, and wind turbines continues to decline, the cost of utility-provided electricity is expected to rise for the foreseeable future. The tipping point is years off for most markets, but places with the highest electricity prices, especially islands like Hawaii, could see the emergence of renewable energy microgrids for purely financial reasons in 2016. The Paris climate negotiations have exceeded most expectations, concluding in an ambitious global agreement on limiting carbon emissions to restrain the impacts climate change. The agreement has several important aspects including up to $100 billion which could finance renewable microgrids to developing countries. In the US, the Clean Power Plan requires states to slash emissions, but leaves it to states and utilities to figure out how to get there. Renewable microgrids and community solar gardens will grow as a high-profile way for utilities to demonstrate their progress. There are also several state and city initiatives with more ambitious targets, including 100% renewable energy targets in San Diego and Hawaii. The biggest physical threat to the grid is extreme weather events. Despite efforts to ‘harden’ the grid, the share of power outages caused by extreme weather is on the rise. Going into the New Year, unprecedented December storms are occurring through much of the southern United States with widespread reports of power outages. Extreme weather is becoming the new normal, as extra heat makes storms more powerful and increases the amount of water vapor the atmosphere can hold. The 10 warmest years on record, with the exception of 1998 have occurred since 2000. 2014 was the hottest since 1880, at least until the data from 2015 is analyzed. While renewable microgrids address the greenhouse gases that cause climate change, all microgrids can increase resilience to the impacts of climate change. Resilience to storms is the biggest driver of microgrid growth in the northeast, where over 9 million people lost power during Superstorm Sandy in 2012. Widespread power outages were a secondary cause of deaths from the storm. As a part of the ‘NY Prize’ initiative, over 83 microgrid projects are currently being evaluated in New York, and many will move forward in 2016. According to Peter Asmus of Navigant Research, all military bases will eventually become microgrids, and they have more reason than most to shift towards renewable energy. Diesel can cost up to $400 per gallon by the time it reaches the front line, and getting it there is one of the most dangerous jobs in the world. The US military is also the biggest emitter of greenhouse gases in the world, which is costly and requires a large global footprint to maintain oil availability. 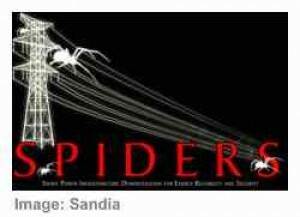 SPIDERS is a $30 million program lead by Sandia National Laboratories under a partnership between the Department of Defense and the Department of Energy. Sandia is also a partner in the new Microgrid System Laboratory in Los Alamos, New Mexico, which will likely apply the research more broadly. Regardless of any of the above factors, the electric grid will need billions of dollars in investments just to keep the lights on. Most mature economies are struggling to maintain their outdated infrastructure, while emerging economies are struggling to keep up with demand. The numbers are staggering. The grid won’t be upgraded at once, and microgrids can be thought of as building blocks to a smarter energy system. Microgrids and distributed energy can also be used to reduce the strain on existing infrastructure.